Amble is home to the largest fleet of fishing boats on the north east coat, most of them are under 10m inshore vessels. Fish caught are usually whitefish (cod, haddock, whiting, plaice, saithe and occasionally mackerel) and shellfish (prawns, crabs and lobsters). 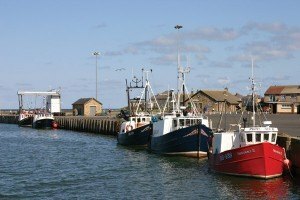 Visitors can charter boats for fishing expeditions, take a Puffin Cruise to see the birdlife and seals around Coquet Island, or just amble by and watch the fishermen unloading their catch. Amble marina was opened in 1987 and provides 250 berths. 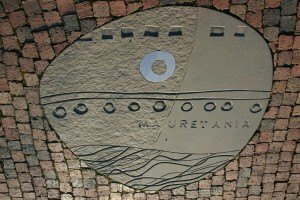 Because it is right on the town’s doorstep, the family-run marina is very popular with visitors from all around the UK as well as overseas. Coquet Yacht Club and Amble Boat Club are also based in the estuary. Amble has more independent shops than any other local small town. Our main shopping street is Queen Street, which is home to butchers, bakers and – er – candlestick sellers! Food, household goods, ladies fashions, flowers, beauty salons, shoes, sweets, haberdashery, books, cards & gifts, arts & crafts, painting & decorating, garden wares, and electrical goods can all be found in our charming town centre. Many other products and services are available in other parts of the town and the Enterprise Park. Amble is home to good restaurants (some of which are highly praised on Trip Advisor), our much loved fish & chip shops, take aways, friendly cafes, bars, good quality B&Bs and cosy holiday cottages. There are two banks, three cash machines, two post offices and two pharmacies in the town. We also have a Tourist Information Centre (open Easter – October), a library and a Health Centre. You may be pleasantly surprised at the number of things you can buy in Amble. And of course we are renowned for our friendly service. #TryAmble1st! Amble lies at the mouth of the River Coquet in North Northumberland. There are several ideas on the origin of the name, “Anna’s Bill” (bill = promontory) being one favoured suggestion. Bronze age burial cists have been unearthed along the dunes in recent times, usually discovered due to coastal erosion. The Romans were almost certainly here, with Roman coins being discovered near Gloster Hill. 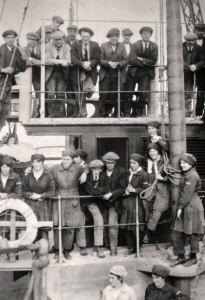 Amble grew to become a port in the nineteenth century, initially to service the coal mining communities of nearby Northumbrian villages. Coal was shipped to London, to Germany, though the Baltic, and some even to South America. Coble boats and even concrete ships were built here. Cobles were built by hand and eye (no plans were drawn). They were made of oak, elm and larch. They bore a distinct look of a Viking longboat, with a similar high prow and single sail. The fishing industry developed alongside the coal exports. Prior to and during the 1950s, fishing boats out of Amble were mostly cobles and longlines. It was the women’s job to bait the longlines -there would be at least 1000 hooks per line and some boats had 3 lines. They caught mostly cod and plaice. In its heyday (1960s -70s), over 30 fishing boats fished out of Amble. 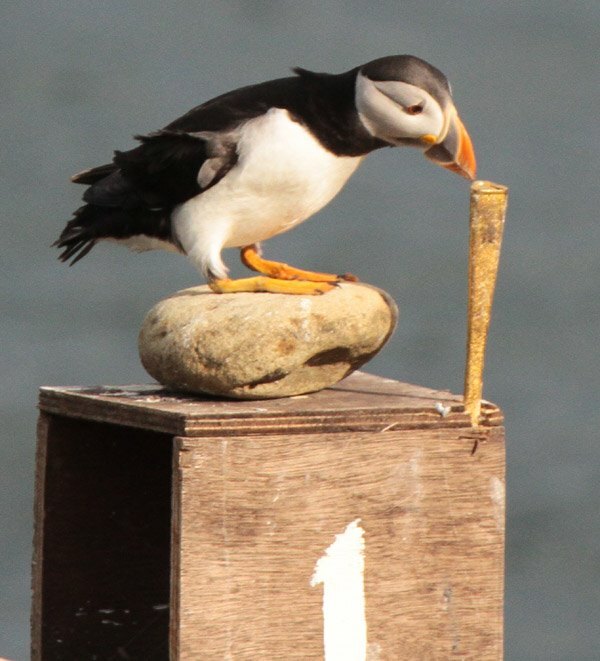 “Olympic Champion” Puffin on Coquet Island. Amble is surrounded by wild natural beauty. The north and south of the town have been designated Northumberland Coast Areas of Outstanding Natural Beauty. Hauxley Nature Reserve and the vast golden sweep of Drurudge Bay are just a stone’s skim from the Friendliest Port. About one mile off shore, lies Coquet Island, once a medieval monastic retreat, now a sanctuary for bird and seal life. The island is now an RSPB reserve, and provides a protected environment for thousands of nesting Sandwich, Arctic and common terns, and is world famous for being home to over 90% of the UK’s Roseate tern population. The gloriously popular puffins also make Coquet Island their home, and you can take a Puffin Cruise out of the Harbour to see the birds and seals (depending on the time of year). Amble will be hosting its first Puffin Festival between May 18 – June 1 2013, so come along and join in the fun! 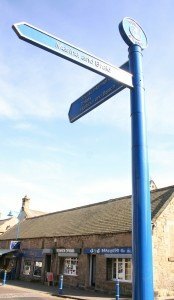 2 thoughts on "Five things you should know about Amble"
Lived there for a couple of years thirty years ago. Why did I leave..?!!!..Beautiful! !